Dentists are split over the issue of gender profiling in dental school admissions. 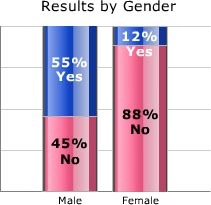 In this survey, the slight majority opposed gender discrimination. However, many dentists felt that favoring male applicants could increase access to dental care.